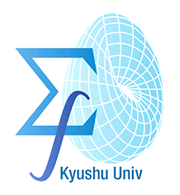 This conference, which is the 12th Seasonal Institute of the Mathematical Society of Japan (MSJ-SI), focuses on recent progress in stochastic analysis, random fields, and integrable probability. Six course lectures covering various aspects of this field together with around ten invited research talks are planned. There will be a poster session. The conference is open to all researchers interested in this field, and in particular young researchers are very welcome to participate. Copyright © 2018--2019, All rights reserved.